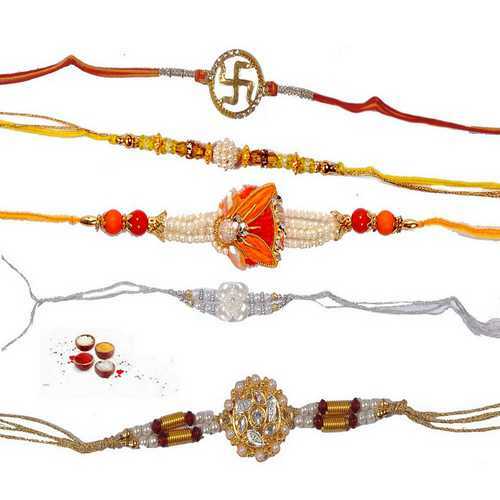 Fancy rakhi threads ornamented with colorful attractive beads are very popular. 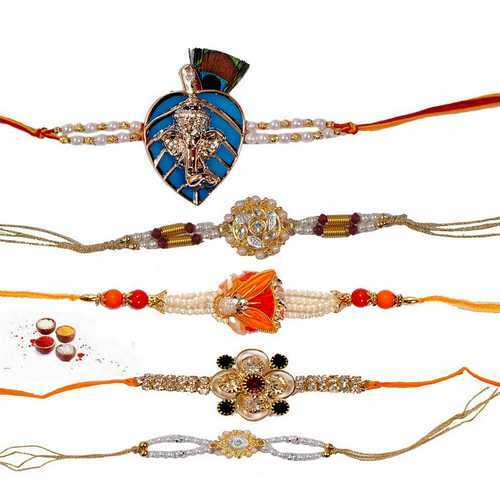 Sending these type of rakhis will make your brothers feel very special. 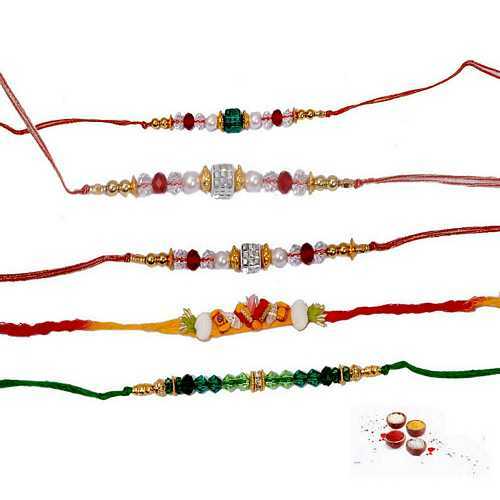 We present you a set of 5 multicolor beads rakhis which will surely impress your dearest brothers. 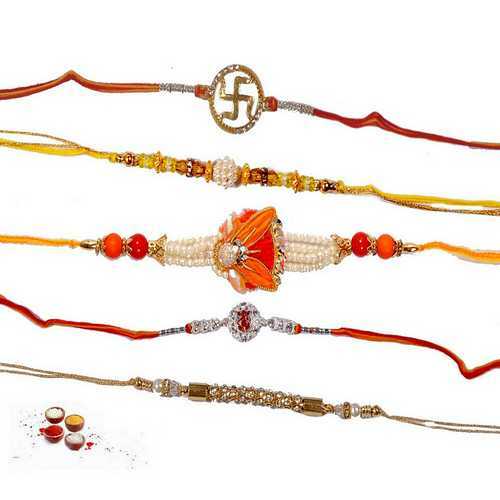 These all rakhi threads are designed with very attractive multicolor beads and white pearls giving an elegant and stylish look. 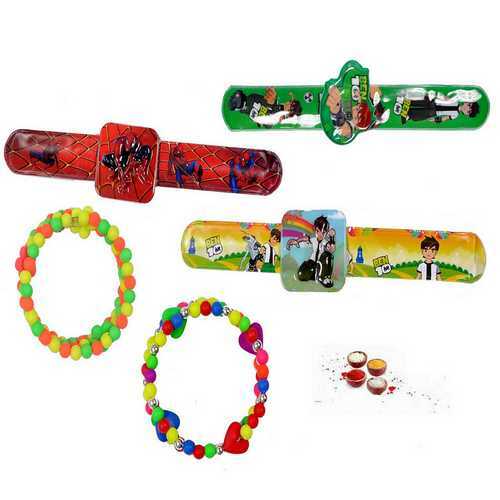 Express your love and convey your rakhi wishes to darling brothers with these multicolor attractive fancy rakhis sending online to India. 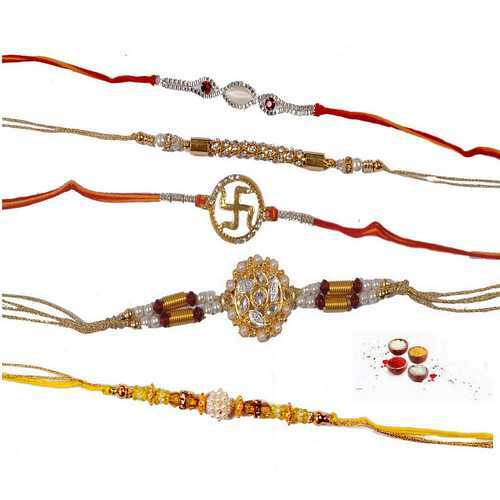 We are offering these rakhi threads with free Roli, Chawal, Chandan and Mishri in very attractive pack.